The wild boar is the ancestor of the domestic pig and is native throughout most of Europe, parts of North Africa and large parts of Asia as far as Japan and Indonesia. In France size is extremely variable, the length of the male is 140-165 cm, that of the female 125-145 cm. Weight for males is 100-110 kg and females 70-80 kg, but these figures are only estimates. Adult males can sometimes exceed 150 kg in rich environments with much larger specimens possibly as much as 200kg or even more. They have a compact body with a coat of stiff bristles, colour ranging from light grey, varying shades of brown to black. Piglets, called “marcassins” in French, are coloured differently from adults, having marbled chocolate and cream stripes lengthwise over their bodies. The stripes fade by the time the piglet is about 6 months old and they gradually change to their adult colour. Adult males are usually solitary outside of the breeding season, (late autumn-mid-winter), but females and their offspring (both sub-adult males and females) live in groups potentially as many as 50 but generally 10 to 20 is more likely. Groups may contain 2, 3, or more adult females, (sows), with one dominant. Group structure changes with farrowing females leaving the group and others may join. Maturing males leave the group when they are about 20 months old and sexually active males will come to the group looking for females to mate. 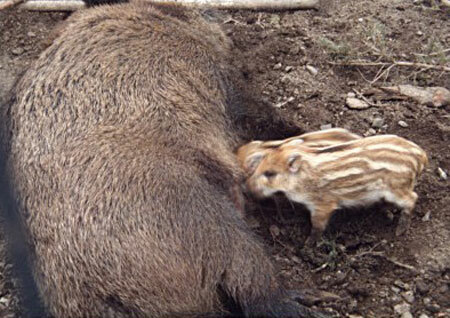 The wild boar is considered a polygynous species; the dominant male during rut may mate with several females. However, recent results indicate that this species may also adopt a promiscuous mating system of polyandry where a male will mate with several different sows but she will also mate with several males during one reproduction sequence. When the piglets are born the sow and piglets remain in, or close to, the nest for 4–6 days. Sows rejoin the group after 4–5 days, and the piglets will cross suckle between other lactating sows. Litter size is typically four to six piglets but may be smaller for first litter, usually two to three. The largest litters can be up to fourteen piglets. Forest and woodland dwellers by nature they are opportunistic omnivores that have the ability to adapt to a very wide variety of food sources according to their availability and the seasons. The major part of their diet is usually 95% to 97% plant material. They eat a variety of fruits and seeds, diverse bulbs, roots and rhizomes, grasses and herbaceous stems and leaves. The proportion of animal present in their diet is often less than 5%, and consists of insects (adults and larvae), molluscs, earthworms and other small creatures. Occasionally you can find the remains of larger animals such as reptiles, amphibians, birds and mammals. Preferred foods are forest fruits (acorns, chestnuts and beechnuts), followed by cereals (mainly maize and wheat). They usually have periods of rest during the day and an active phase which is mainly food oriented at dusk and overnight although actual time spent feeding will vary with the seasons and available food sources. 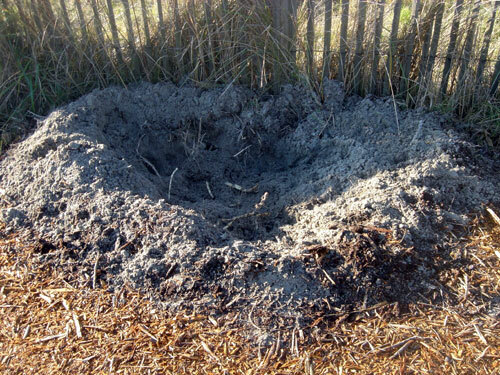 When resting they will lie down in wallows that they dig, sometimes lined with grasses and plant material, especially when based on very wet soils or cold. 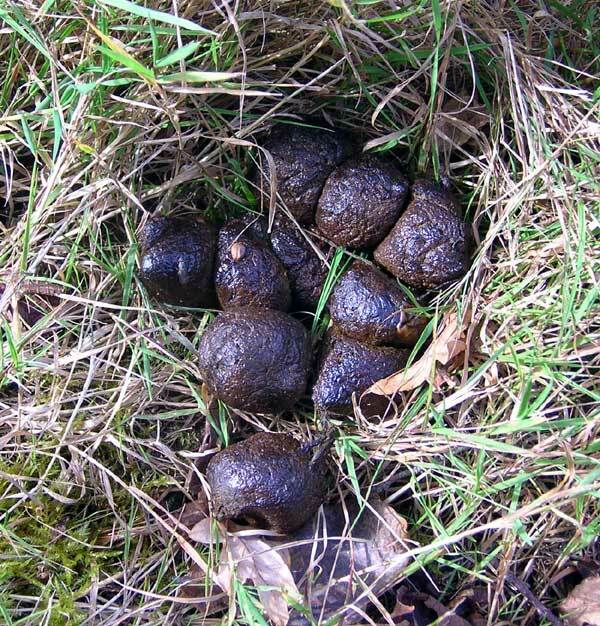 These can be occupied by several animals from the same group. France has seen a large rise in the Wild Boar population since the 1980’s and today in France there are wild boars almost everywhere. The highest densities are found in the departments of North-East France and in the departments of the South, the Mediterranean rim and Corsica. They are also farmed in enclosed land for hunting, meat production and for export where strict regulations and licensing are in place. The only means of population control is by hunting and somewhere in the region of 500,000 are killed in France every season.